Of all poetic forms, haiku stands as one of the most elegant and immediate  a rare combination that creates an aura of mystery and artistry. This creative ambrosia, combined with an exotic history embedded in the courts and hillsides of Japan, has made haiku globally popular for the past century. With the challenge of precisely conveying a natural movement as a universal moment in three lines and 17 or fewer syllables, it is easy to see why Western poets like W.H. Auden, Jack Kerouac, Gary Snyder, Jorge Luis Borges, Billy Collins, Allen Ginsberg, e.e. cummings, Ezra Pound, Joanne Kyger, Anne Waldman, Richard Wright, and Sonia Sanchez fell in love with haiku. Until the 1950s, haiku was virtually unknown in the United States. By that point, haiku as its own specific form had existed for four hundred years, but its roots stretched back nearly another millennium. As early as the 7th century, Japanese narrative poetry that included short lyrical poems called "uta," or songs, were written as part of pre-Buddhist or early Shinto ceremonial rituals. Prayers, celebrations, formal eulogies, courting, planting, and harvesting were among the formâ€™s earliest subjects. The most popular of these forms, waka, featured 31 phonetic units, or "on," broken into five lines by a 5-7-5-7-7 count. The waka became the most recognized poetic form of the period, and officials and court nobility gained recognition as word specialists for their ability to write waka. Kakinomoto no Hitomaro was a preeminent waka poet who lived c. 662 - 710. Japanese waka captured religious or courtly themes, while haikai covered more worldly subjects. The influence of waka spread beyond the courts and into the countryside. Beginning in the 9th century, waka was refined into a very specific 5-7-5-7-7 form called tanka, which is the term used today. 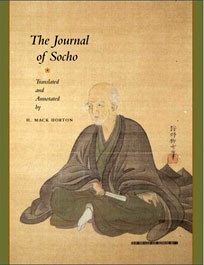 Saiokuken Socho was one of the best renga poets of the late 15th and early 16th centuries. The form became known throughout the country due to the parallel development of word games, in which two or more writers would compose alternating sequences until long string-poems emerged, always in the 5-7-5+7-7 succession. Some renga, as the chained verses were called, added up to hundreds of links  all bound by complicated rules to ensure that elegant court-poetry diction and aesthetic ideals were followed. The elegance of the word games abruptly changed in the 15th and 16th centuries. Renga became known as haikai, and was composed in parlors and other establishments where sake was served. Soon, the form devolved into comic linked verse, often slapstick, bawdy, and crude – similar to some forms of modern-day limerick. By the time of his death, Basho had created more than one thousand verse-poems and had trained more than 2,000 students. One hundred years later, he was declared the saint of haiku by the Shinto religious headquarters and 13 years later by the imperial court when he became and become the most famous poet in Japan. Matsuo Bashoâ€™s 49 refined hokku are preserved in Japanâ€™s most famous literary work, Narrow Roads to the Interior. Issa detoured from Bashoâ€™s naturalistic approach and wrote haiku on a variety of subjects. 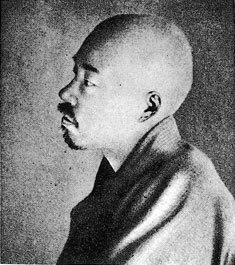 The formâ€™s reach was further expanded by three others: Onitsura; Buson, a known artist who arranged specific scenes into words, utilizing words as brushstrokes; and Issa, who detoured from Bashoâ€™s naturalistic approach and wrote individualistic haikai on childhood, poverty, lifeâ€™s sadness, and the compassionate heart of the Buddhist. Masaoka Shiki revived the form, focused on the 5-7-5 sequence, and renamed it "haiku." 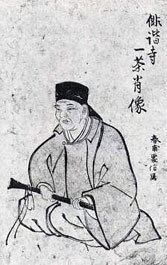 After Issaâ€™s death in 1827, the form suffered through more than a half-century of mediocrity before reformer and revisionist Masaoka Shiki began composing poetry. He brought a distinctly Western, agnostic flavor to haikai and hokku by focusing on the 5-7-5 sequence, which he renamed haiku. 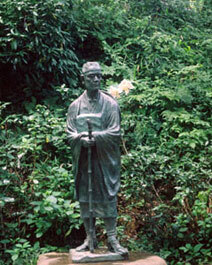 Shiki also studied and wrote waka to which he gave the modern term of tanka. He basically destroyed the practice of renga by declaring it nothing more than a game and not worthy of being considered literature. Following his dictate, the Japanese abandoned renga and only after English writers took up the form in the 1970s did interest in renga occur. Among those who grabbed onto the form were Amy Lowell, Ezra Pound, and e.e. cummings, with Pound spreading it through his Imagist movement in the 1910s. Despite the efforts of Lowell, Pound, and cummings, haiku did not truly catch on in the West until the 1950s. Three anthologies published between 1949 and 1958 (R.H. Blythâ€™s Haiku, Kenneth Yasudaâ€™s The Japanese Haiku, and Harold G. Hendersonâ€™s An Introduction to Haiku) grabbed hold of American poets Allen Ginsberg, Jack Kerouac, and Gary Snyder, among others. Blyth had participated in the American Occupation in Japan, Yasuda was a Japanese-American scholar, and Henderson had worked for the Imperial Household; all were expert haiku scholars. Snyder, in particular, found his life calling through haiku, traveling to Japan where he lived for six years in Buddhist monasteries. Kerouac, also intrigued by Buddhism, immortalized both Snyder and haiku through the Japhy Ryder character in his classic 1958 novel, Dharma Bums. 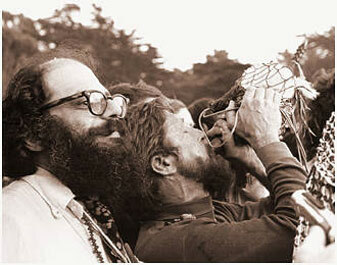 Gary Snyder (right) found his life calling through haiku, while Allen Ginsberg (left) was also an accomplished haiku poet. Suddenly, America was hooked on haiku. Students and professors grabbed whatever they could find, and took advantage of any Japanese contacts to not only procure the classics, but also the latest haiku. Snyder, a serious student of Basho and Issa, steered haiku to the mystical, spiritual, pinpoint Zen-like observation that Shiki had removed. Among young Americans in the 1950s and 1960s, haiku became the poetry form to master, forming a cultural bridge to post-war Japan. According to TIME Magazine, by 1959 Japan had 500,000 practicing poets producing up to 1 million haiku per year in 600 different poetry magazines and newspapers. Currently there are over 825 clubs or groups of haiku writers, totaling over 1 million members. Richard Wright wrote more than 4,000 haiku while adding surrealism and political themes to the form. 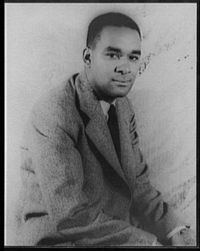 Richard Wright was another American poet to stretch the wings of haiku while maintaining the 5-7-5 syllable pattern, in a bow to the Japanese "on." 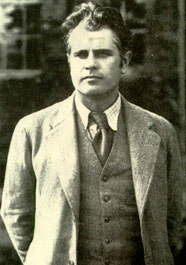 In his final years, Wright wrote more than 4,000 haiku, 817 of which appeared in Haiku: This Other World. He added surrealism, political themes, and the interconnectedness of humans and the natural world  a big hit during the cultural revolution of the late 1960s and the environmental movement that followed. Poets such as Richard Wilbur, James Merrill, William Stafford, John Ashberry, Donald Hall, Seamus Heaney, Wendy Cope, and Nicholas Virgilio clambered on the haiku bandwagon without fully honoring the traditions of the form. The journal American Haiku launched in 1963 and was edited by future college professor and haiku poets James Bull and Dr. Donald Eulert. The Haiku Society of America was founded in 1968. In American Haiku, Nicholas Virgilio worked with a short, long, short line pattern rather than a 5-7-5 English syllable count. ===The debate continues.===The debate over whether to count English syllables as Japanese sound units continues, while todayâ€™s poets write about natural and urban imagery, use personal pronouns, and inform their work with Zen or Buddhist leanings  or not. Todayâ€™s leading haiku poets include Michael Dylan Welch, George Swede, Alexis Rotella, Alan Pizzarelli, and Marlene Mountain. Mountain added another wrinkle to haiku, writing entire poems in a single line, while John Martone has given the vertical poem  four lines or more, only one or two words per line  a distinctive haiku sensibility. 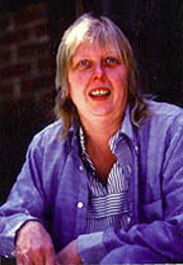 Jane Reinhold has over 5,000 haiku in her book A Dictionary of Haiku. Marlene Mountain added a new wrinkle to haiku by writing entire poems in a single line. The American Haiku Archives houses the largest collection of haiku outside Japan. Since it remains the most frequently published poetic form today, haiku will undoubtedly enjoy a long and well-expressed future in the U.S., Japan, and throughout the world. No fewer than two dozen fine haiku publications exist in print and online, including Modern Haiku, Frogpond, Mayfly, The Heron’s Nest, Wisteria, White Lotus, and Simply Haiku. Several book presses are dedicated to haiku anthologies and single-author collections. 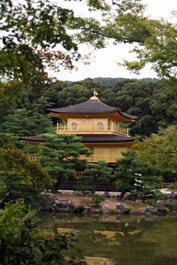 Furthermore, the American Haiku Archives , founded in 1996, houses the largest collection of haiku outside Japan.